When it comes to overall visibility and transparency in the supply chain, there’s a perfect storm brewing. On the one hand, customers now demand to know more about the businesses and brands they are investing in. On the other, several technological and modern advancements have made it easier and more efficient to monitor and retain control over the supply chain. Combined, these things work to foster a degree of change. Today’s customers, for instance, are more interested in the sustainability and ethical practices of a brand they support. If companies are not sourcing materials or goods from a reputable source or are using damaging means when it comes to the environment, then customers aren’t willing to invest. A Nielsen study found that 66 percent of respondents are willing to pay more for a product or service if they know the company behind it is dedicated and working toward better social and environmental outcomes. But what about technology? What advancements are fostering or pushing the industry closer to complete visibility and transparency? Here are five of them. It’s likely that the number of internet-ready devices will more than triple by 2020 — there may be as many as 20.4 billion connected devices globally by then. So right away, we’ve established that IoT and internet-ready devices are on the rise, and that’s true of many industries. But how does this factor into the supply chain? When and where does this technology contribute to transparency? IoT sensors and devices can be used to monitor and collect information — for a varying degree of processes — in real-time. Specifically, that helps everyone involved in a supply chain by keeping them updated. It sounds so simple, but it’s the most significant contributing factor when using the technology. Imagine one company shipping goods that will eventually land on store shelves and end up in the hands of consumers. Before it gets there, it will pass hands at least a half a dozen times — and maybe more. Vendors, transporters, quality assurance teams and even the retailers themselves all have their internal processes and policies. IoT and connected devices can help improve the speed and efficiency with which this happens, but will also enhance communication between parties in your average chain. 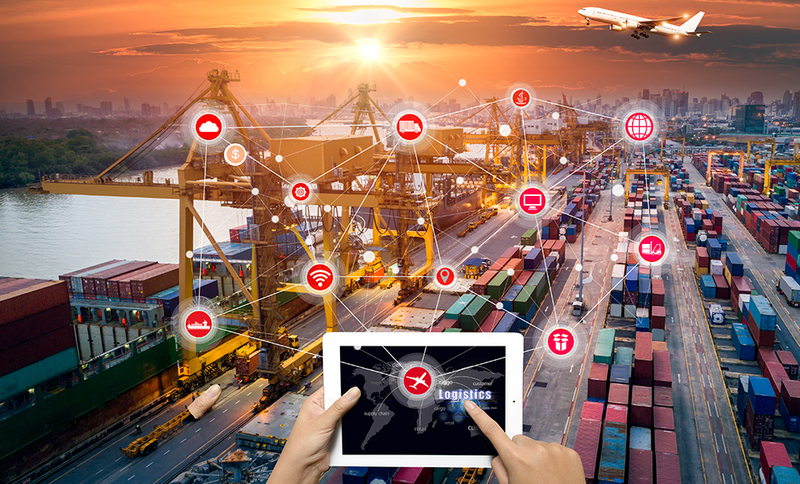 For example, a vendor could look up the current whereabouts of a shipment — reported via location data from IoT sensors — as opposed to emailing or calling the involved parties. Of course, this is just a surface level example. There’s also the fact that improved visibility means better tracking regarding the health of goods or products. In the food industry especially, this can be a huge benefit when dealing with contaminated goods. You can locate and track them in real-time, from the moment they leave their source all the way to store shelves. Smart devices and IoT sensors can track and update inventory continuously. With certain goods, there’s bound to be some that are spoiled, damaged or even lost. IoT-powered systems will report this information in real-time. That also means vendors and retailers can be more aware of the shipment capacities coming to them. Plus, all parties involved along a supply chain can be more aware of others thanks to increased visibility — knowing when and where certain goods come from is incredibly important. Then there’s the matter of irregular and often unpredictable demand changes — higher or lower — that can generate a sudden surge within the market. More accurate and efficient inventory management processes can be a benefit in such scenarios. Those involved can scale up or down, depending on market trends. Goods and products have to be transported somehow, right? Be it large, road-bound trucks and storage vessels, trains or even airplanes, a reliable transportation or fleet management system is necessary to monitor and control this portion of the supply chain. IoT and GPS sensors placed within vehicles can help fleet managers by offering the same real-time updates afforded elsewhere. Real-time monitoring makes it possible to accurately predict arrival and delivery times, travel length, as well as varying factors that may change or alter such data. Weather conditions or traffic accidents may cause significant delays, for instance, and this affects everyone. IoT allows for better communication between supply chain parties in this regard. A distributor could call or email the retailer receiving a shipment and let them know it’s going to be late — allowing them to adjust accordingly. But with IoT, the nature of everyone being connected and tuned in means important parties could simply receive automatic updates about the delay. At the start of every supply chain is the manufacturer or developer of said goods. If they experience delays or problems, everyone else does, too. IoT sensors can assist in managing the different processes and machinery involved at a development level. Imagine equipment that can detect a potential failure and send the appropriate updates to mechanics. They could deliver preventative maintenance, all while keeping the involved systems and processes operational. Eliminating downtime can help everyone thrive, and also cuts down on ballooning operational costs. In the end, better and more accurate data about what’s happening in a particular industry or process is always beneficial. IoT and connected devices will offer just that. 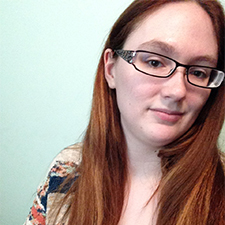 Megan Ray Nichols is a freelance technical writer. She also runs her own blog, Schooled By Science, a blog dedicated to making complicated scientific topics easier to understand. You can follow Megan on Twitter @nicholsrmegan to keep up with the latest news.